Explanation: What's happening at the center of spiral galaxy M106? 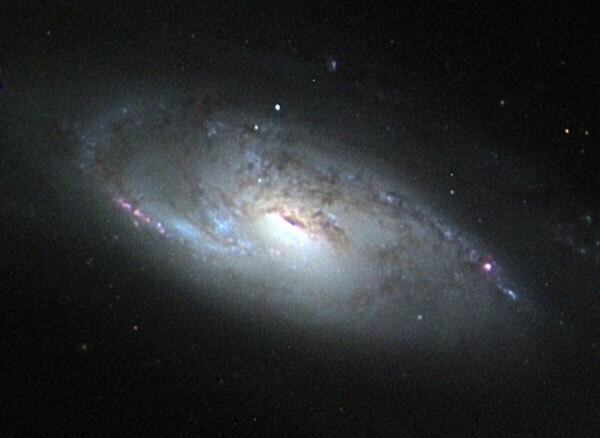 A swirling disk of stars and gas, M106's appearance is dominated by two bright spiral arms and dark dust lanes near the nucleus. Bright newly formed stars near their outer tips distinguish the spiral arms in the above photograph. The core of M106 glows brightly in radio waves and X-rays where twin jets have been found running the length of the galaxy. An unusual central glow makes M106 one of the closest examples of the Seyfert class of galaxies, where vast amounts of glowing gas are thought to be falling into a central massive black hole. 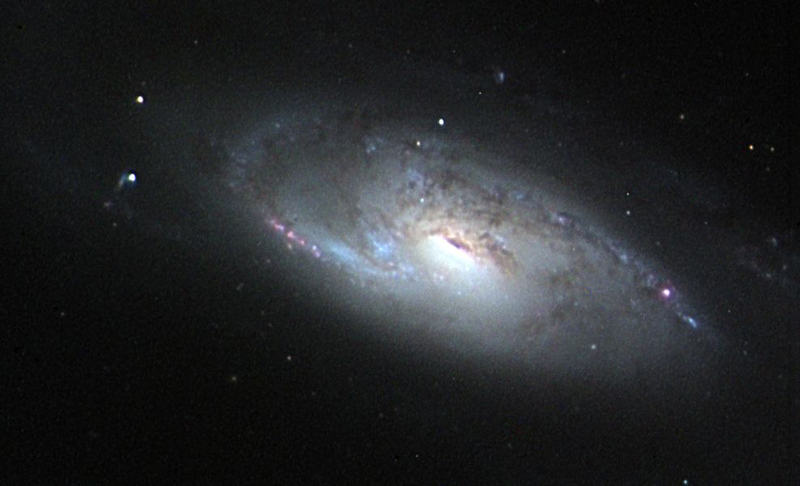 M106, also designated NGC 4258, is a relatively close 25 million light years away, spans 30 thousand light years across, and can be seen with a small telescope towards the constellation of Canes Venatici.